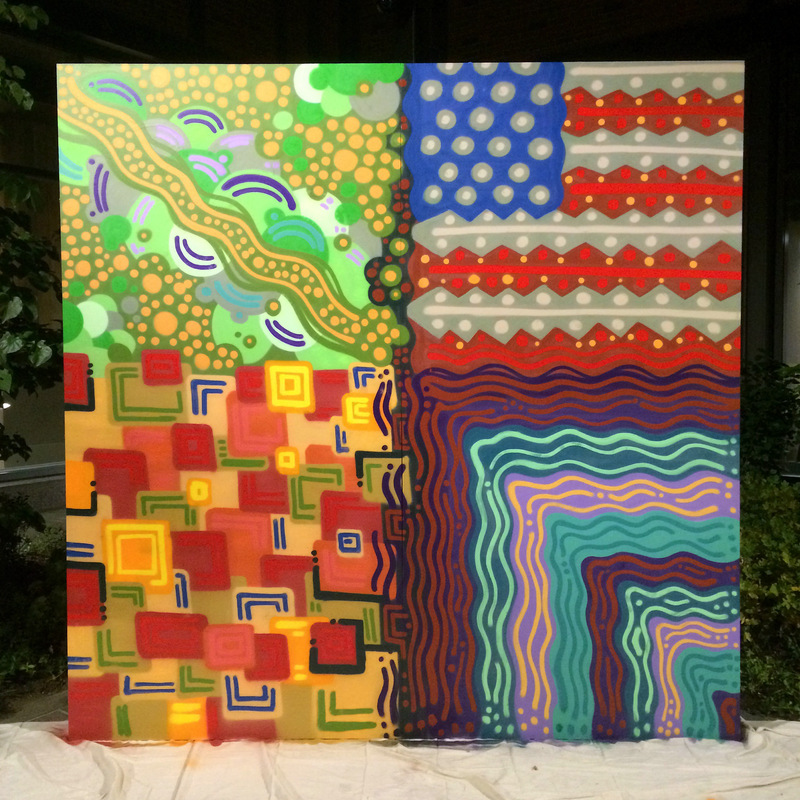 Recently, we worked with Abington House on The High Line and Related on their summer Art Park Series that featured music, live art and food trucks every Wednesday all summer long! 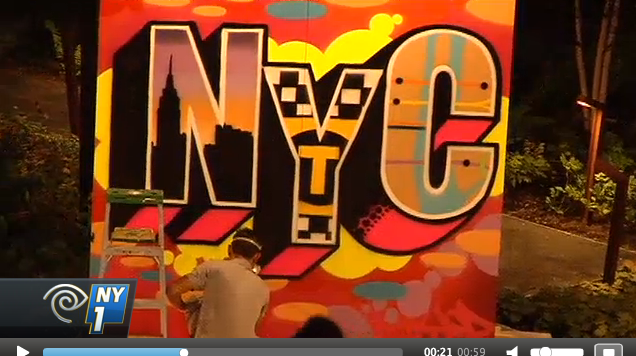 Check out some of the recap videos below along with a feature on NY1! 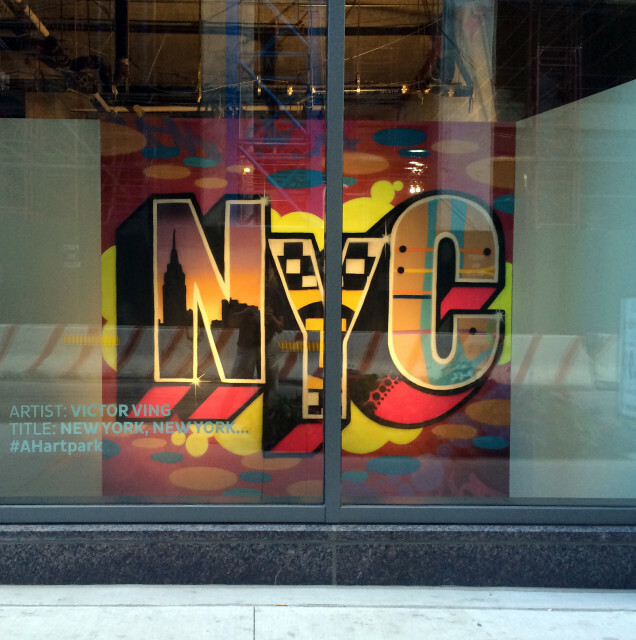 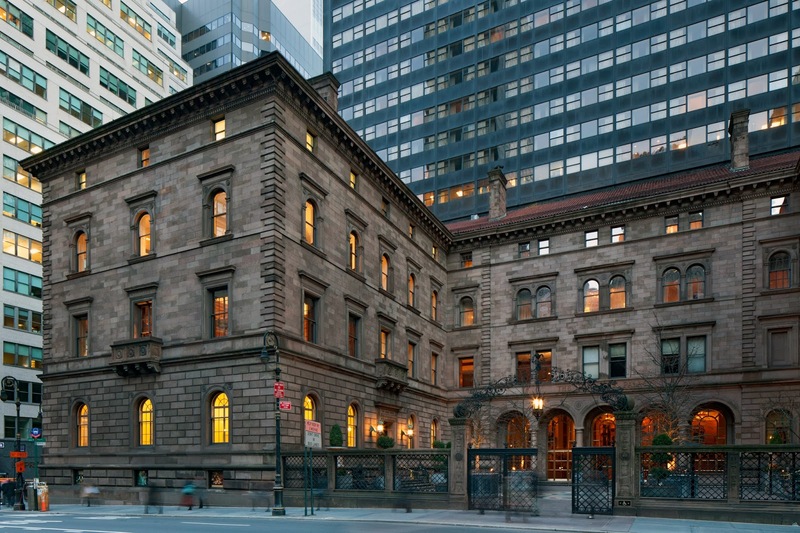 You can check out the completed pieces in the display windows at the Abington House located on 29th St. and 10th Ave. in NYC! 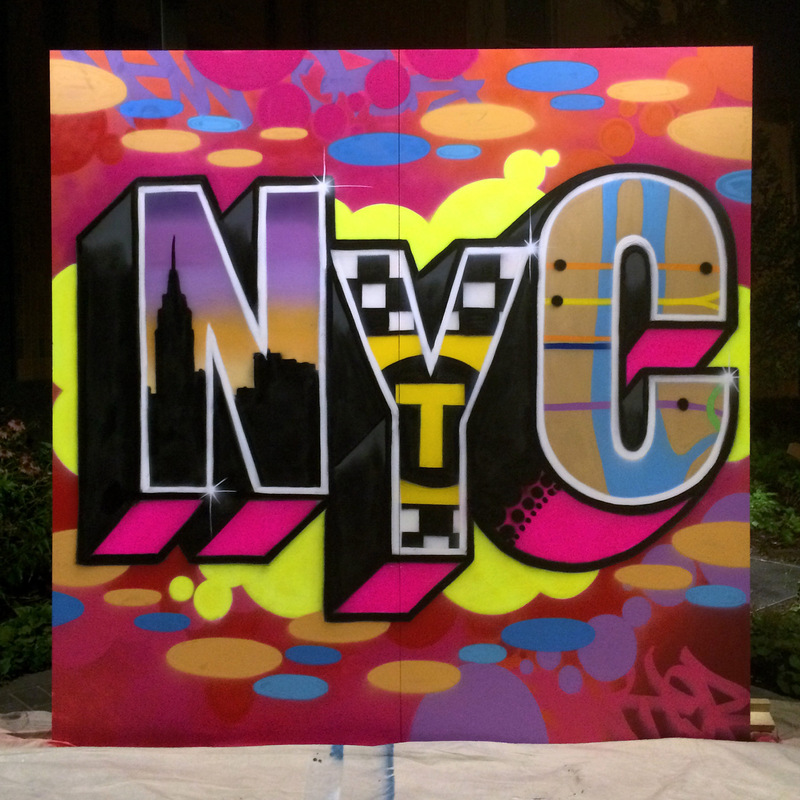 For FREE estimates, please contact us at graffiti@klughaus.net or call 646-801-6024. 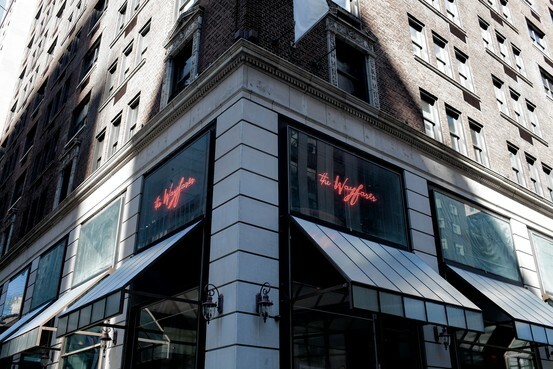 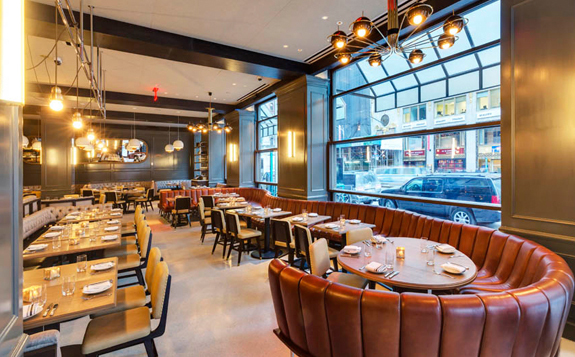 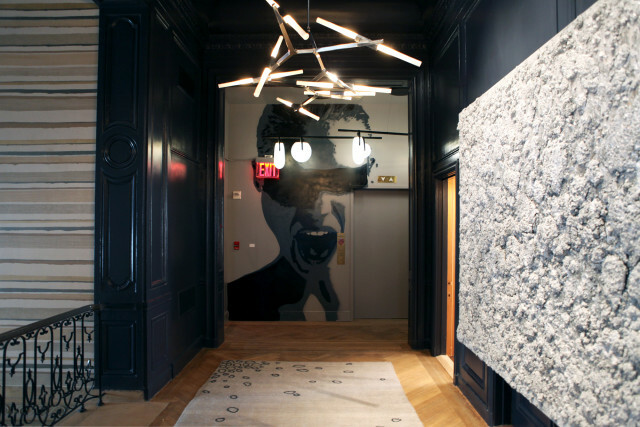 After a recent project w/ Meyer Davis Studio painting the interior of the new Wayfarer Restaurant, we worked with them again on the 2014 Kips Bay Decorator Show House. 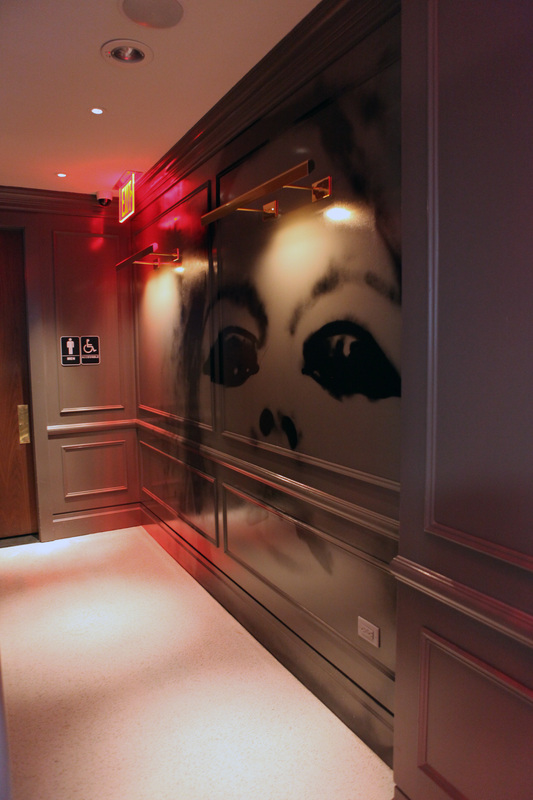 This time, we painted a gray toned posterized portrait that was integrated with an exit sign near the elevator wall. 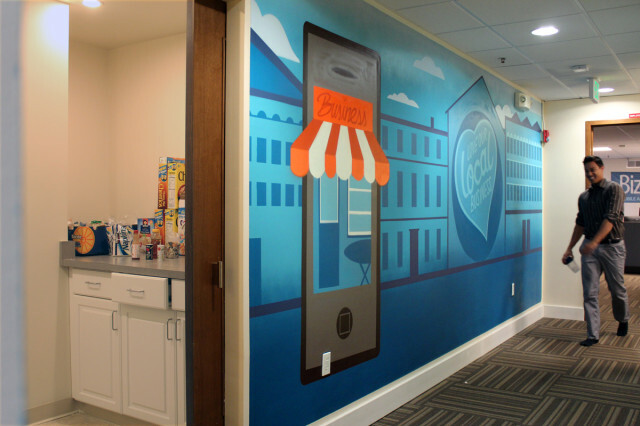 This was an awesome project to be a part of and we definitely stood out from the crowd.  Check out links to the following write ups as well! 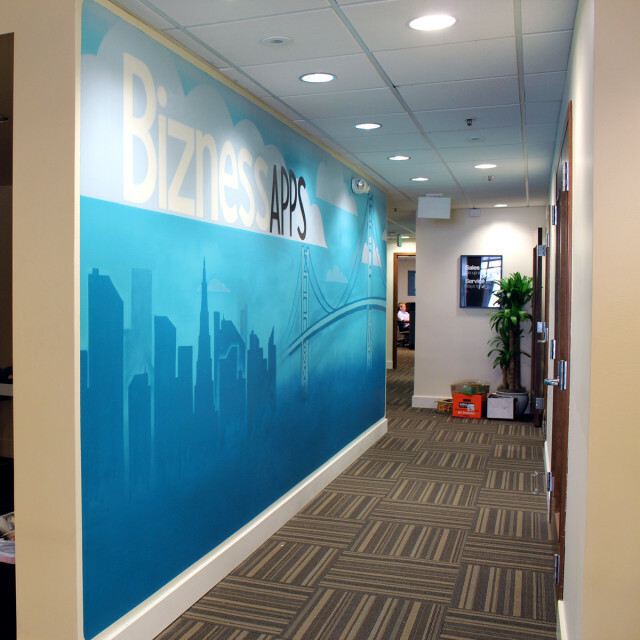 Bizness Apps is a great company that helps small businesses create mobile applications quickly and easily. 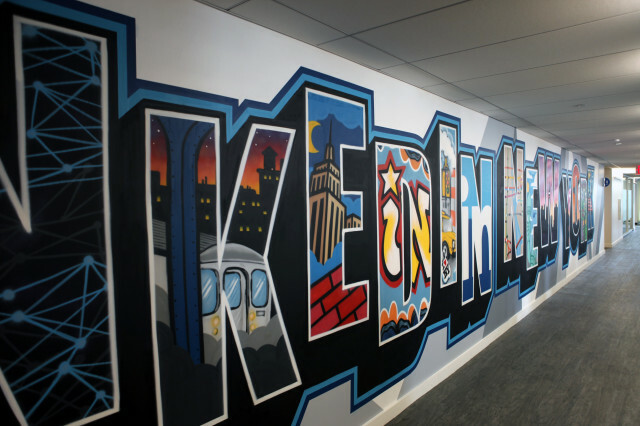 They reached out to us to help them create a mural in their Silicon Valley office. 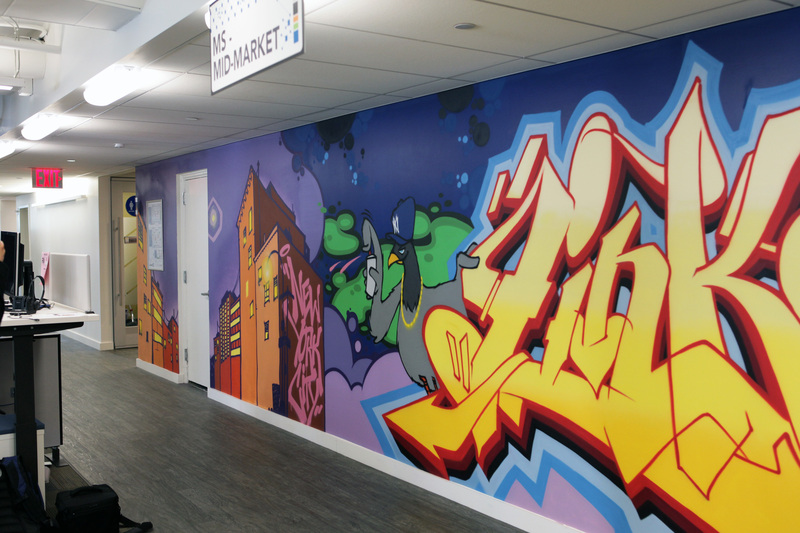 Our San Francisco graffiti artists created the interior murals below using spray paint. 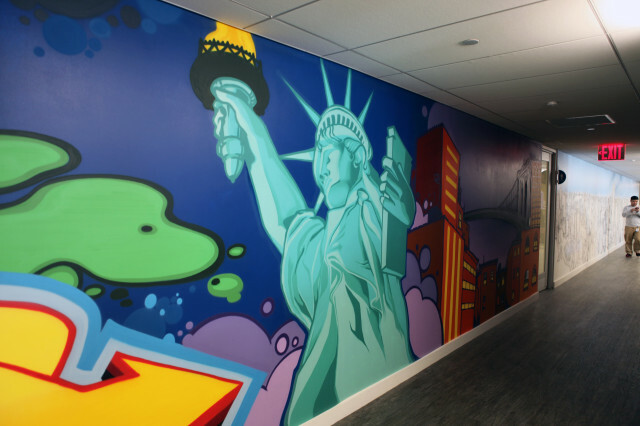 Graffiti USA works with the top graffiti artists who do very clean and top notch work in multiple major cities throughout the country! Last year, we worked on a photo shoot for Bongo with the lovely Vanessa Hudgens. 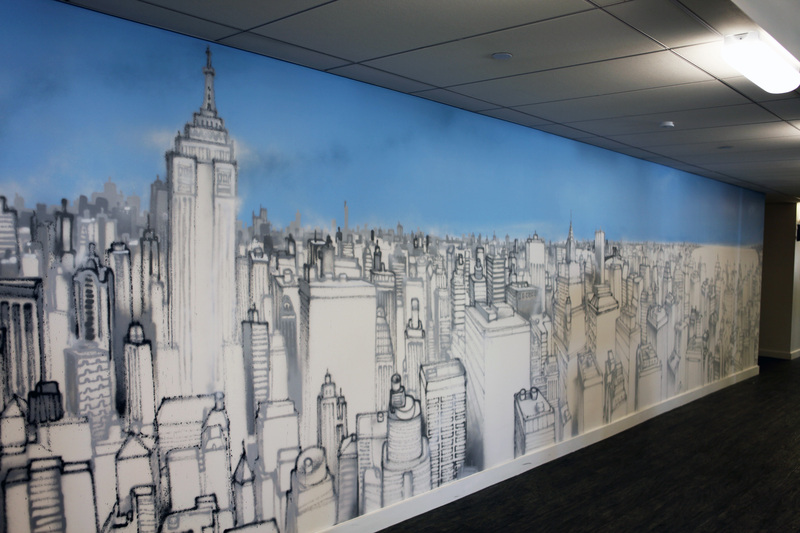 The artwork we were asked to paint on the seamless was minimal and in a few colors. Vanessa was really fun to work with and even painted one of the backdrops with us! 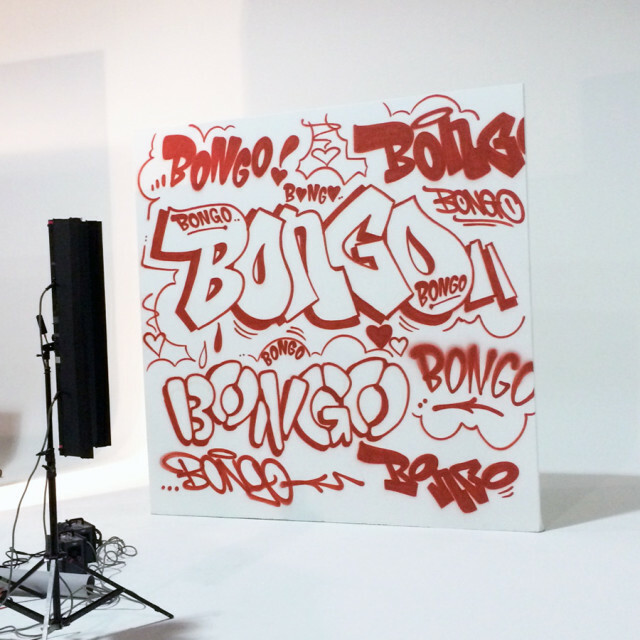 Check out the Behind The Scenes footage below along with some photos from the shoot. 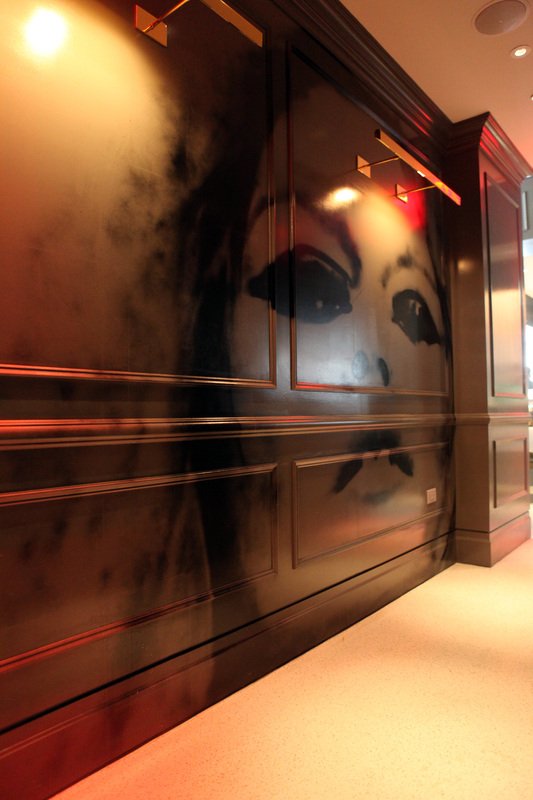 For a FREE estimate, please contact us at graffiti@klughaus.net or call 646-801-6024. 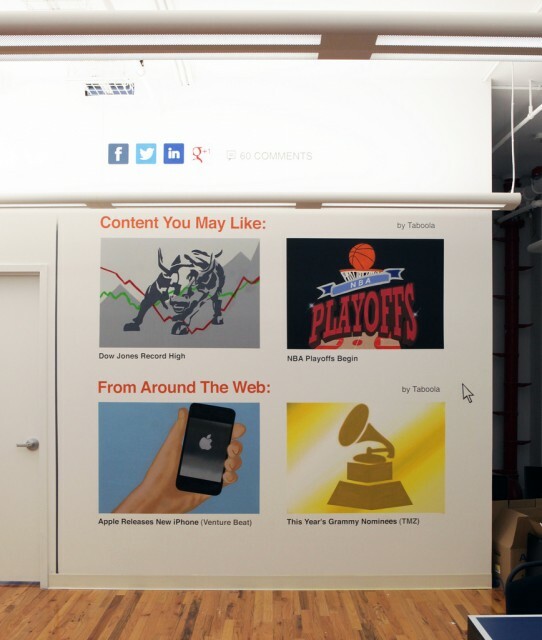 Taboola is the world’s leading content distribution and discovery platform, serving over 1.5B daily recommendations to over 200M monthly visitors on the web’s most innovative publisher sites, including USA Today, BusinessWeek, Time and The New York Times. 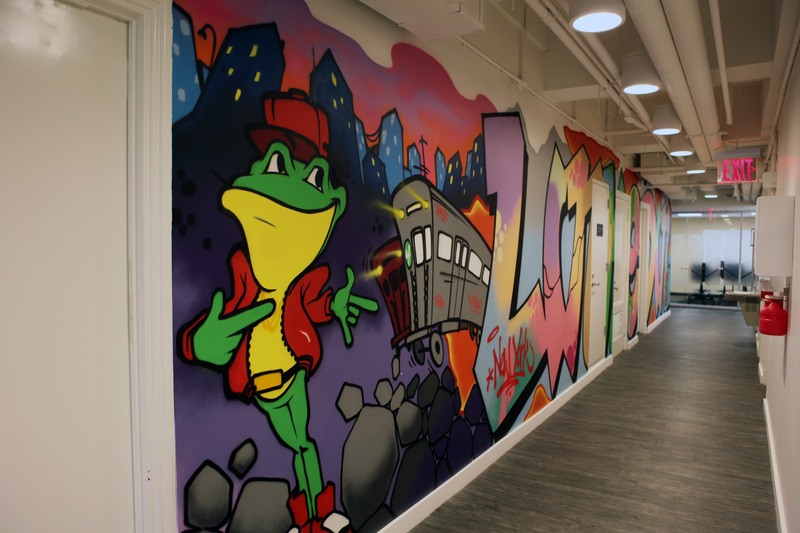 Taboola just opened a new office in New York and they asked us to come decorate their white walls with our aerosol artwork! We only had a window of one weekend to complete three different walls in the newly constructed office space. 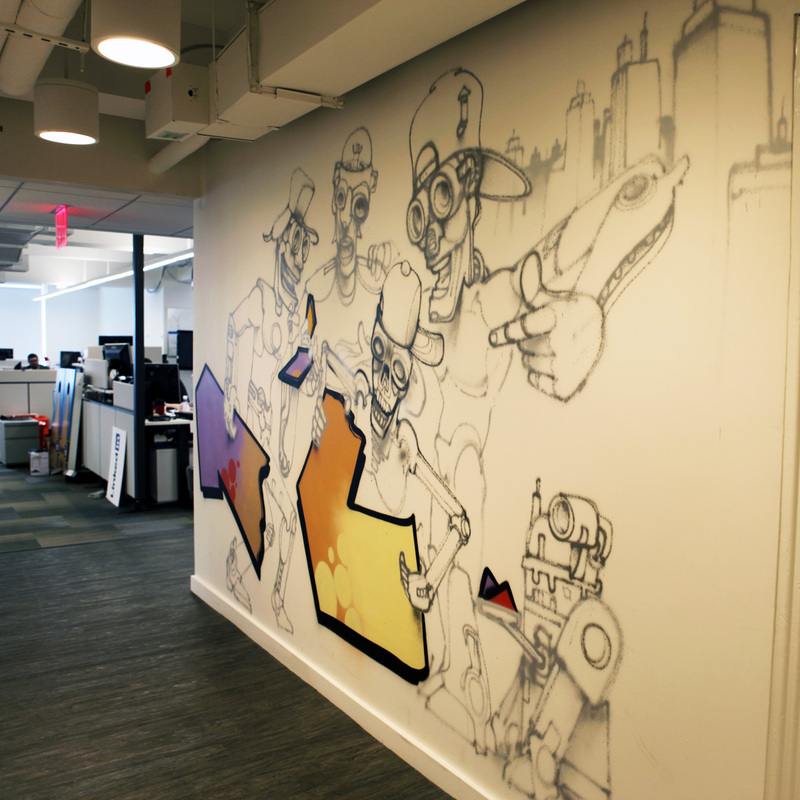 The completed artwork definitely gave the office a more fun/relaxed work environment. We were very happy with the outcome of the murals and we are glad that Taboola liked it as well! 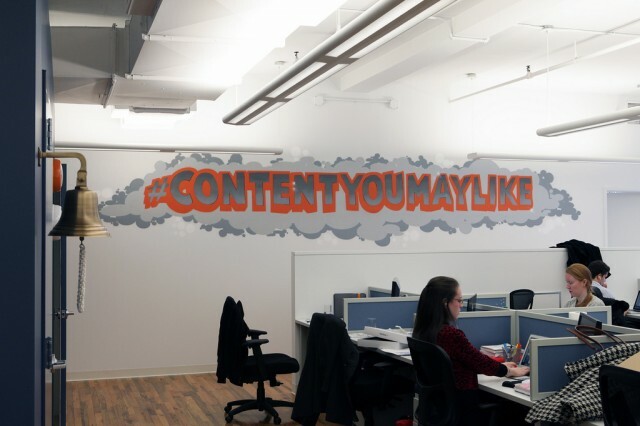 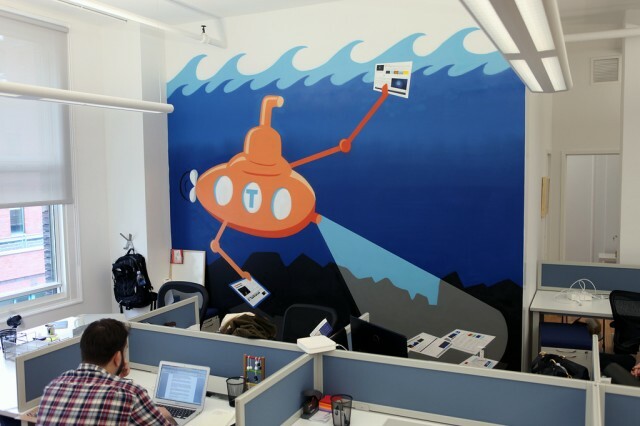 Finally, one of our favorite walls was this Taboola submarine that was scavenging for web articles/videos. 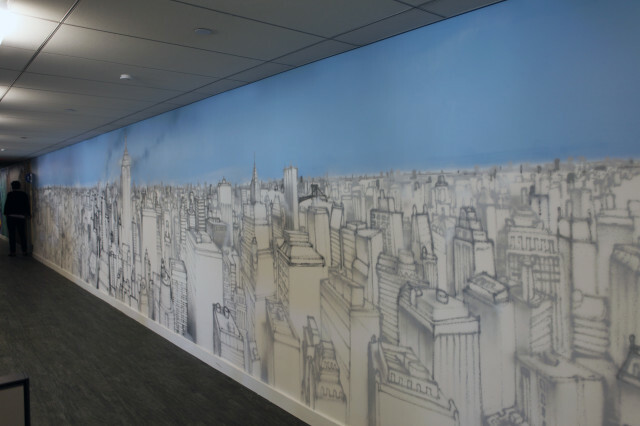 Here’s WIRED’s Spencer Reiss next to the wall to give an idea of scale of the mural. 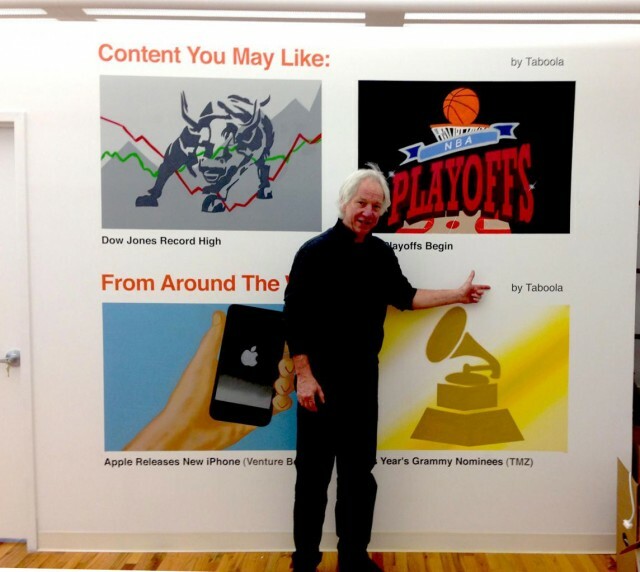 Read more about his visit to the Taboola office here. Based out of New York City & Los Angeles, we are a group of professional graffiti artists that specialize in commissioned aerosol artwork. 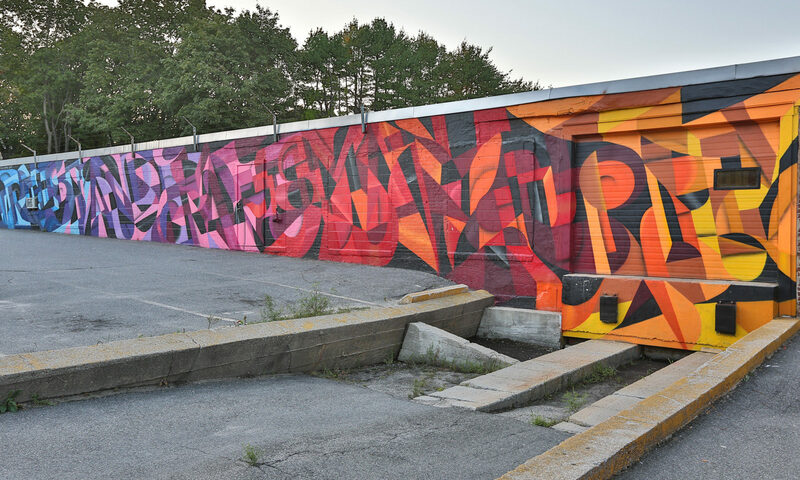 All of our artists have a minimum of 10-15 years experience working with the medium of spray paint. 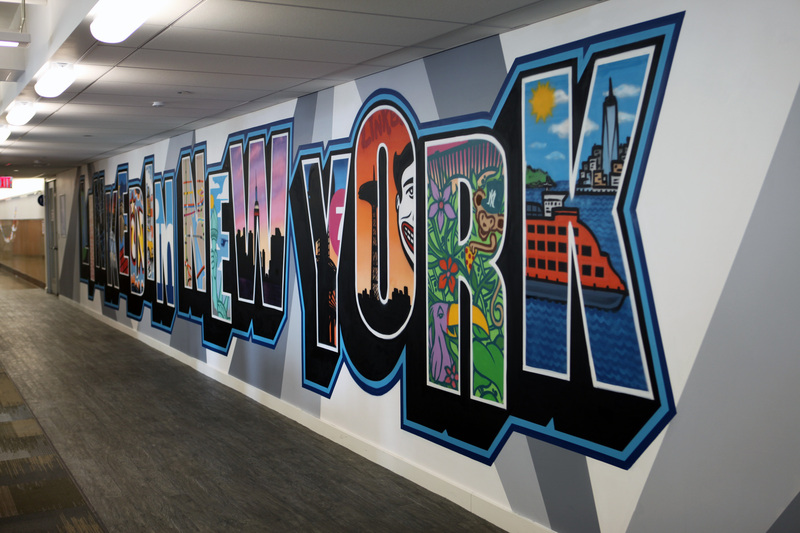 Some of our jobs include (but are not limited to) residential and commercial interiors, business exteriors, graffiti-related set design, traditional graffiti, live artwork at events, sign painting and more! We have artists available for commission graffiti artwork across the United States in New York, New Jersey, Chicago, Los Angeles, San Francisco, Seattle, and Miami. 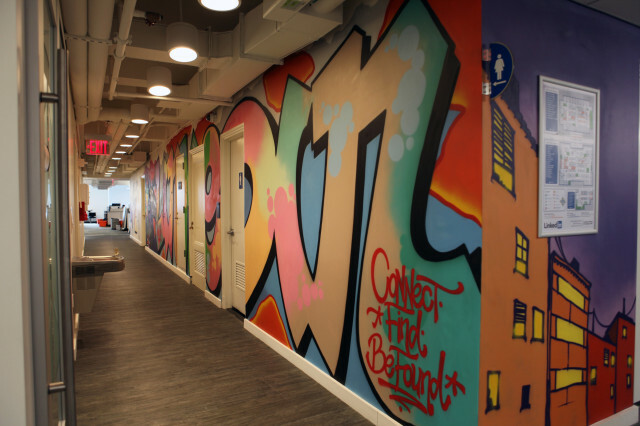 We also have international graffiti artists for hire upon request.